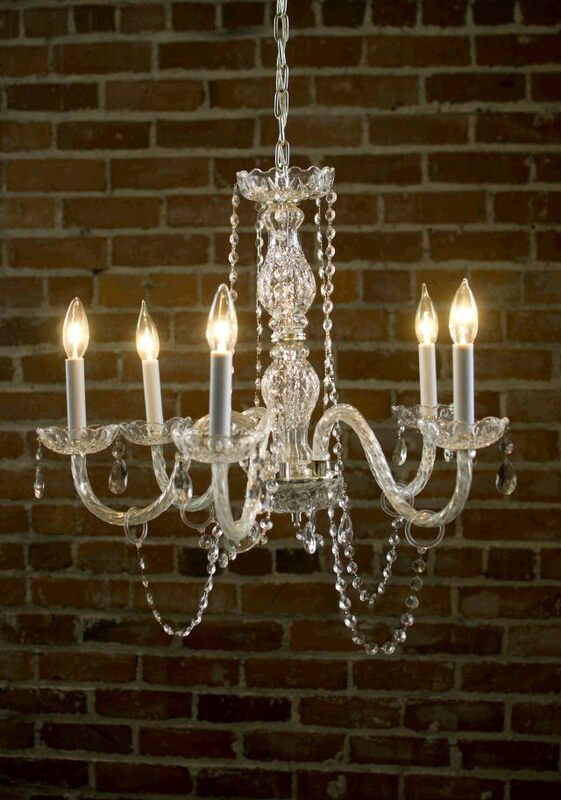 Decorative and functional 5 arm crystal chandelier accented with chains of crystal beads. Electric 110 volt, 5 bulbs 15 watt each. * Please call us for any questions on our chandelier murano crystal rentals in Ft. Wayne IN, Warsaw, Syracuse, Auburn, South Bend, Indianapolis IN.